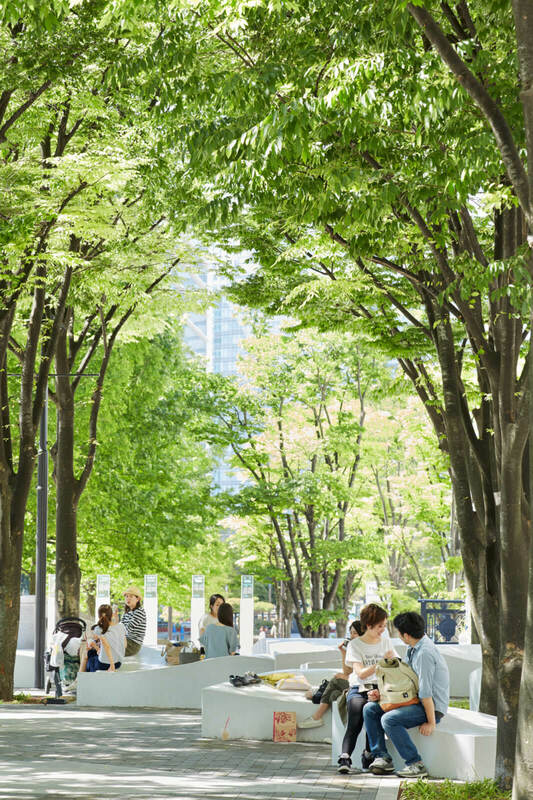 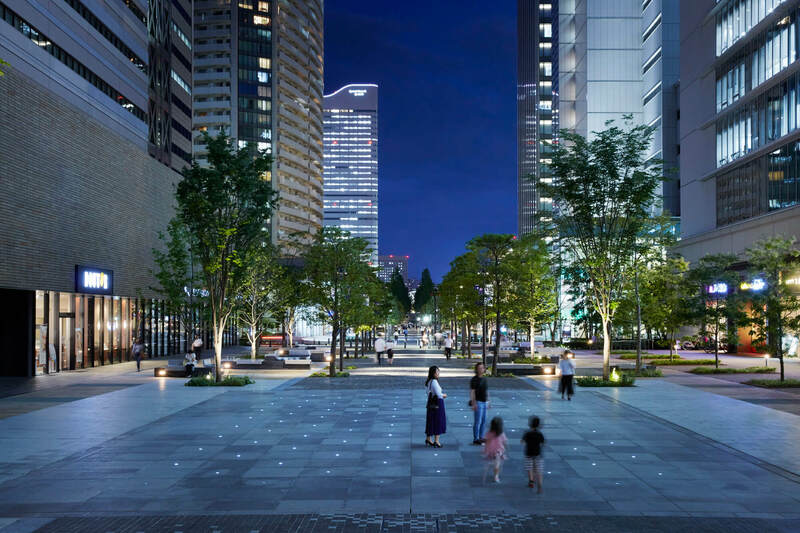 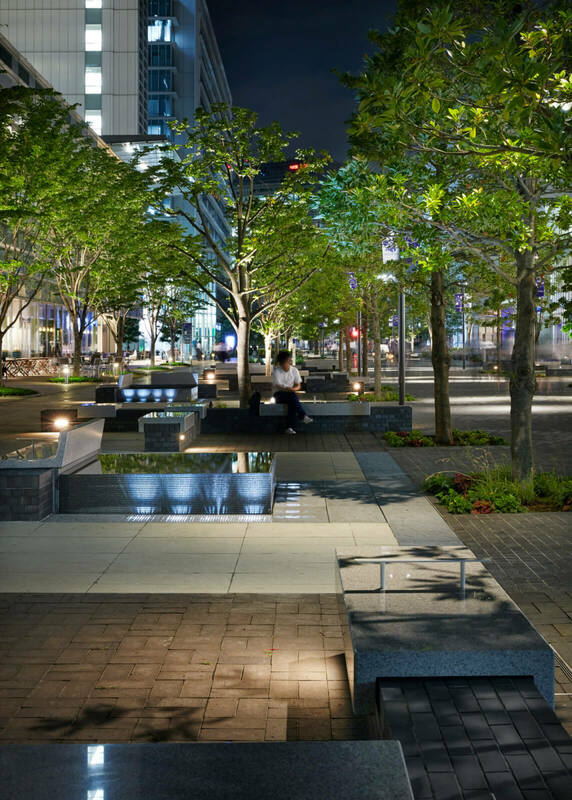 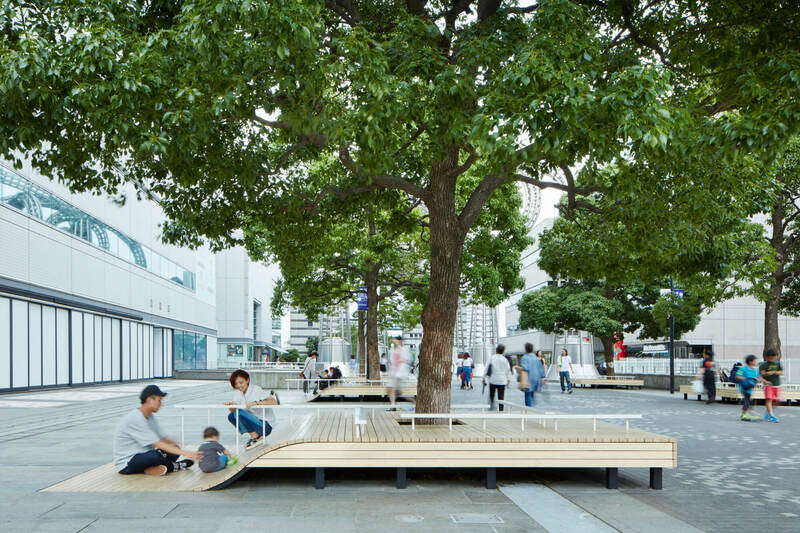 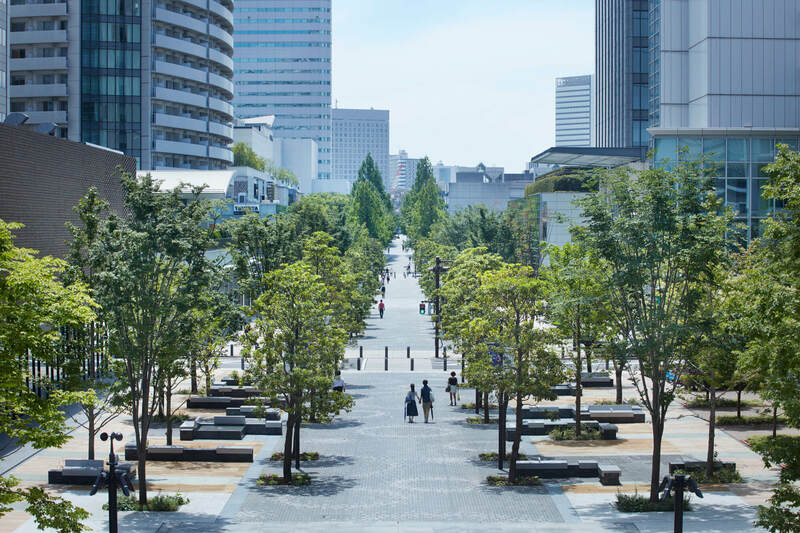 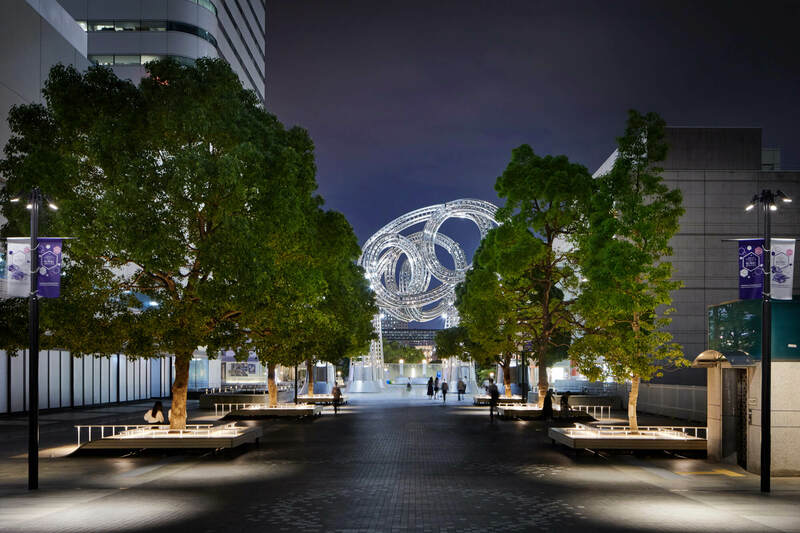 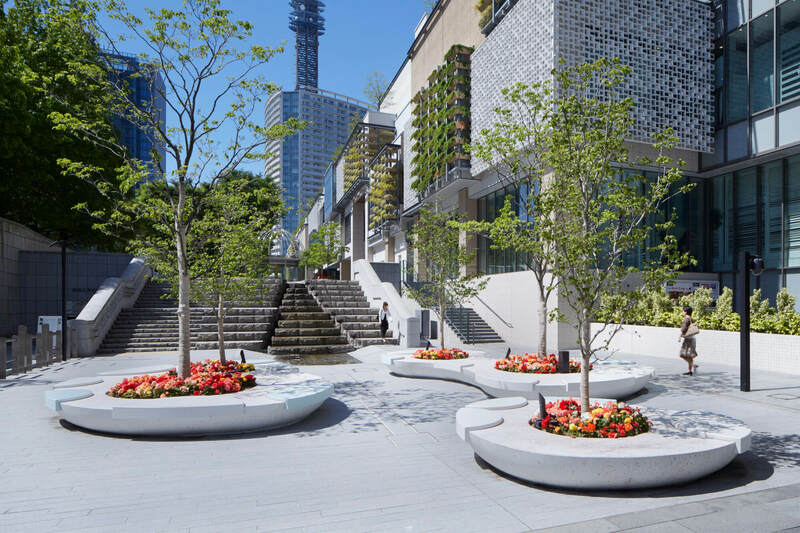 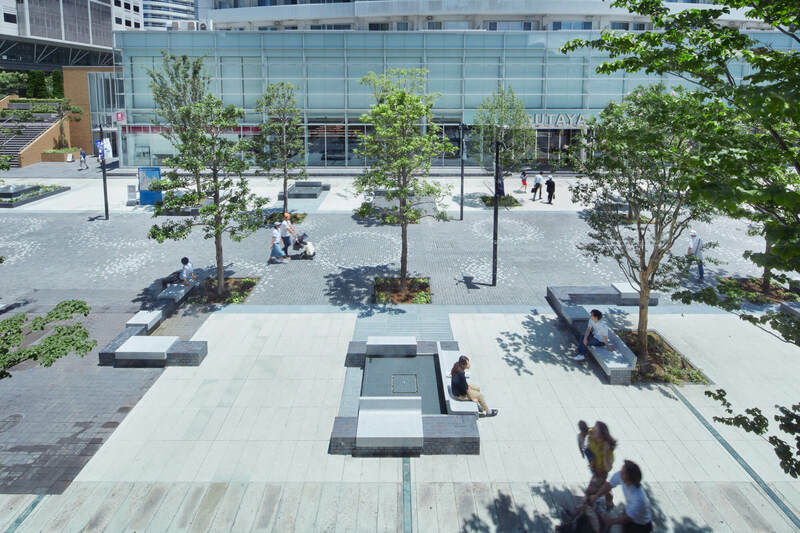 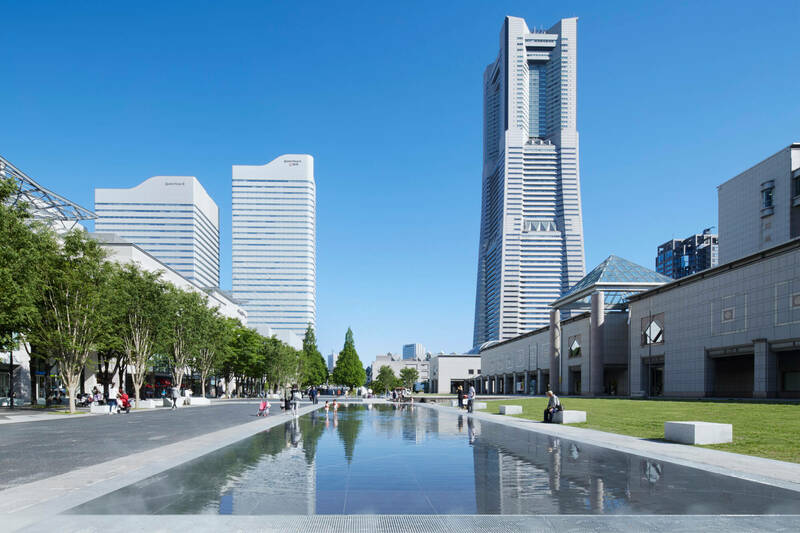 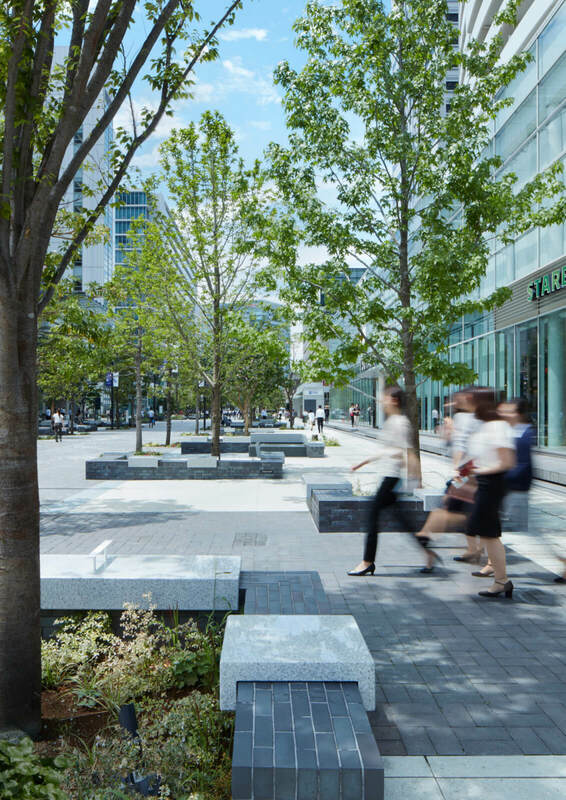 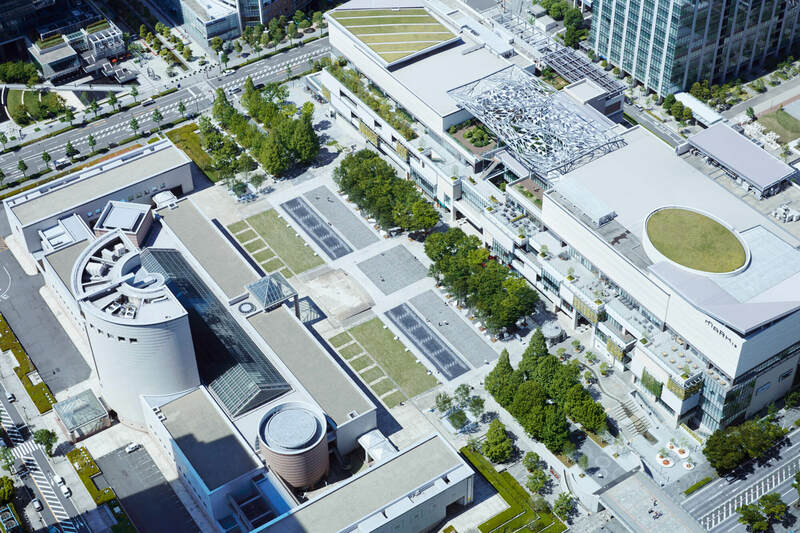 A renovation project of the Grandmall Park, a 700 meter long park located at the center of Minato Mirai 21. 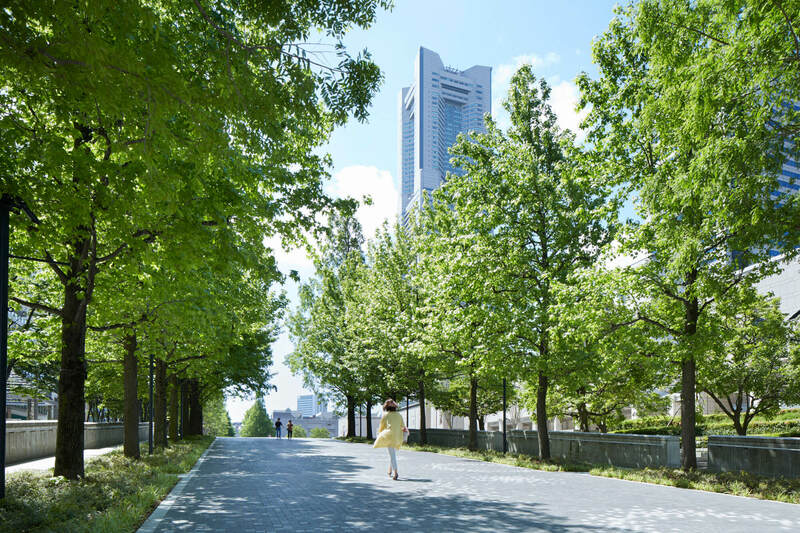 Designated a “Future City” by the Japanese government, Yokohama city decided on the theme “Green x Smart Park” in constructing this city park. 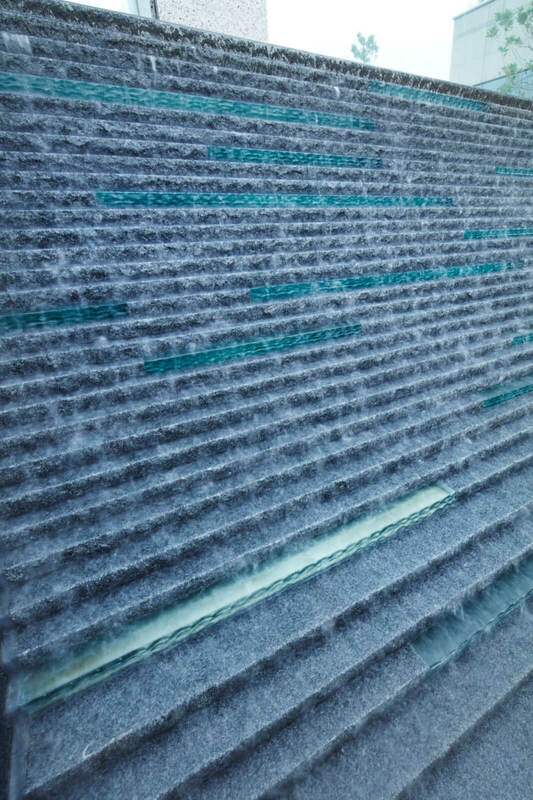 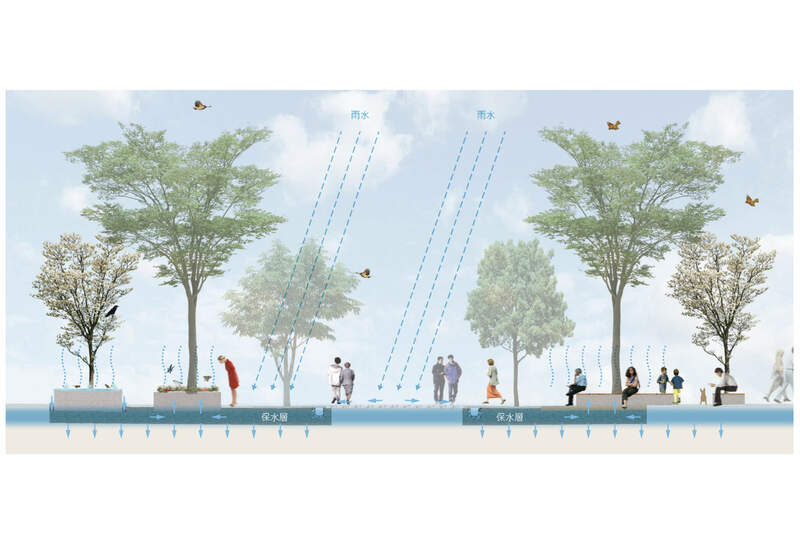 One main feature is vertical “water circulation” created between the sky, plants, permeable surfacing, and the expansive crushed stone water retention layer located underground. 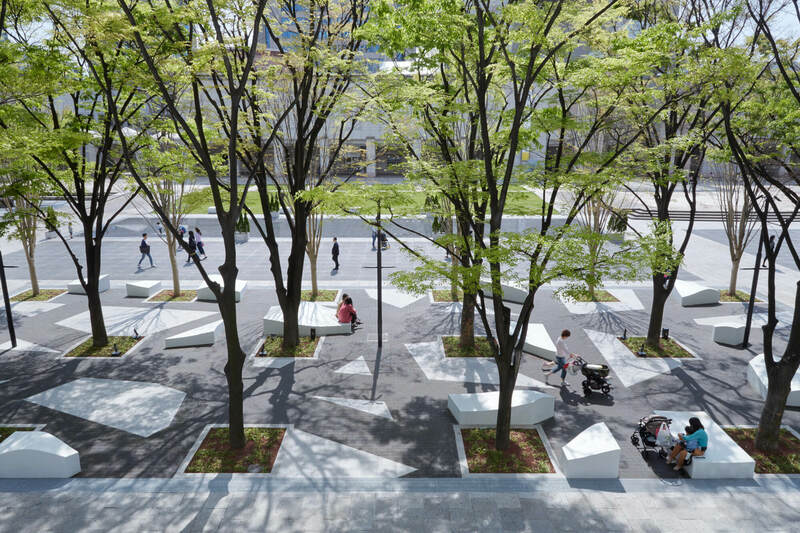 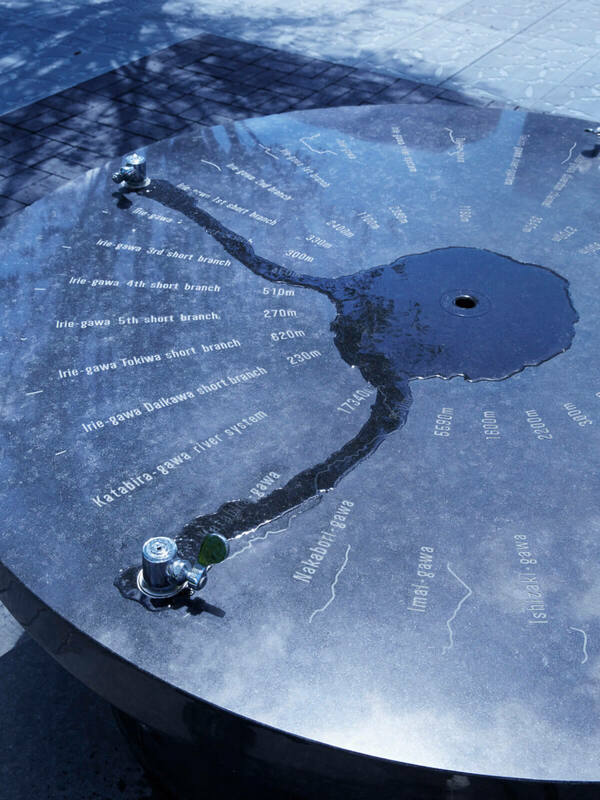 The park is divided into three areas, with the themes of “sea”, “ship” and “port”. 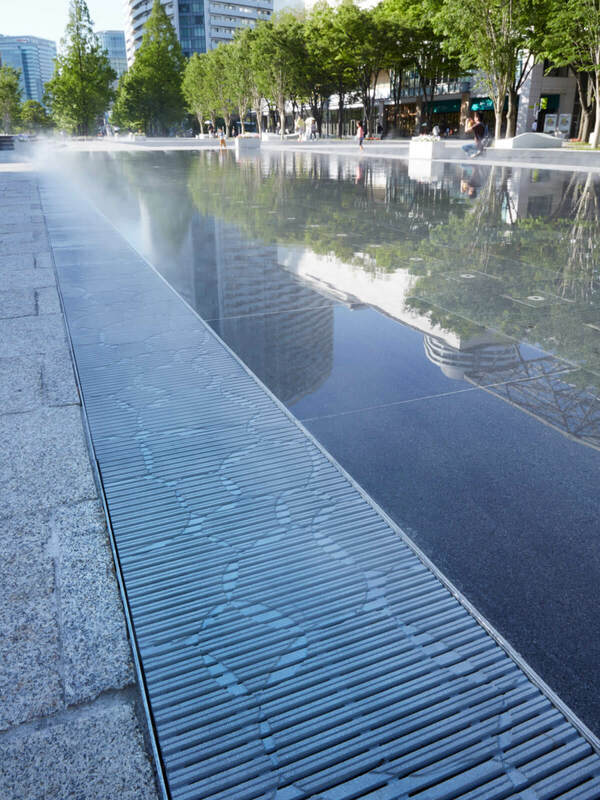 The “sea” area has many water related features that distinguish the port town of Yokohama, such as a large plane of water, wave shaped benches, ripple mark motifs on gratings and pavements, and water fountains with markings representing the rivers of Yokohama. 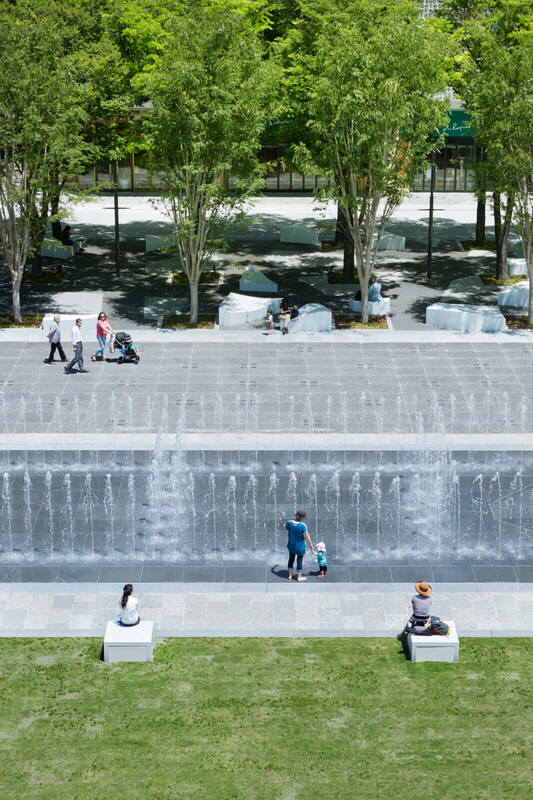 In the “ship” area, raised deck-like furniture with distinctive white railings are inspired by ship designs and a glass cascade fountain can also be found. 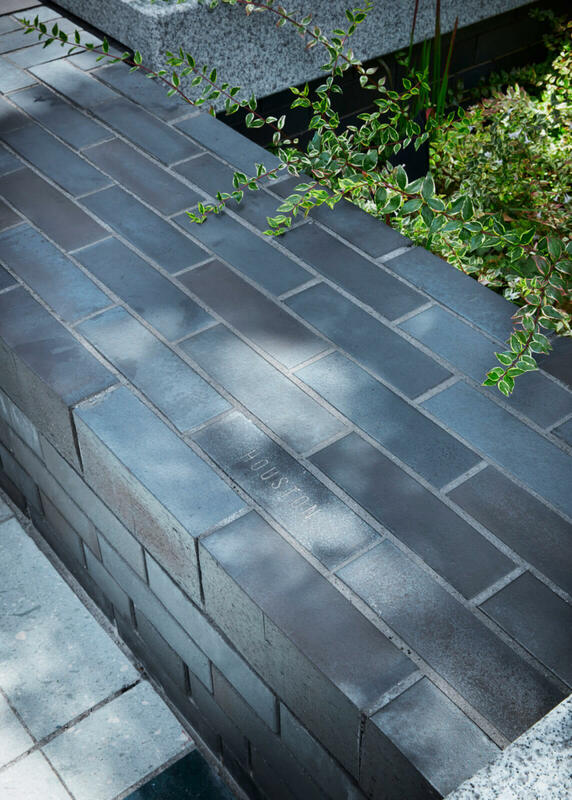 In the “port” area, names of ports around the world are etched into the brick benches that were modeled from a pier. 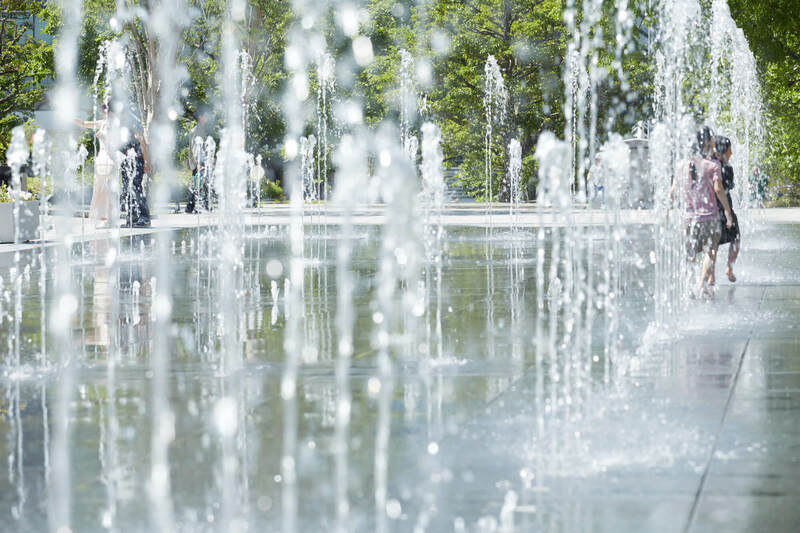 Water fountains create soothing sound around a three dimensional water feature. 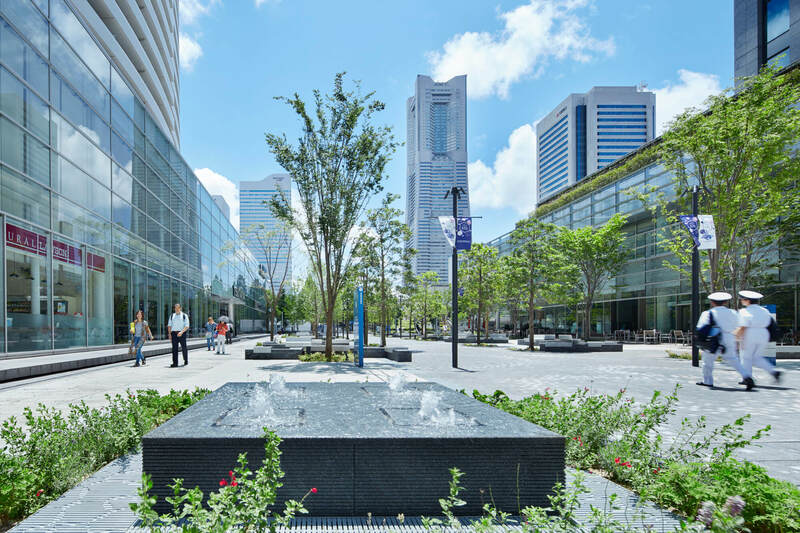 Water, green, breeze, and light that represents the port town draw people to the location to form an integral part of a new kind of Minato Mirai city park scape.